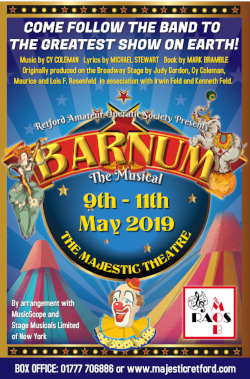 Retford has TWO theatres, The Majestic and Retford Little Theatre, both of which have pretty full programmes. Click on the poster to the left for a larger version. There website has a full diary of shows for several months ahead. The Little Theatre’s website has. at the foot of their homepage, a link to either download their current season’s programme, or a form to request a copy.